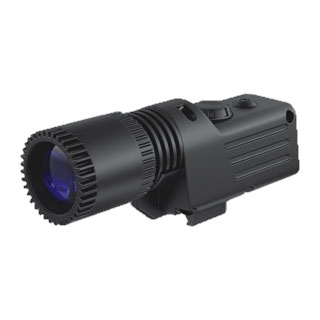 Pulsar High power IR Flashlight 940nm for Digital Models, 940 IR Flashlight is a high-powered IR illuminator offering a variable beam from spot to flood. The IR power of the flashlight can be smoothly adjusted. Pulsar - 940 IR Flashlight operates in the remote field of the IR-range (940nm), invisible by the unaided eye. The Pulsar-940 Flashlight is designed for use with digital night vision devices and not recommended for use with Gen.1 or CF-Super NV devices.